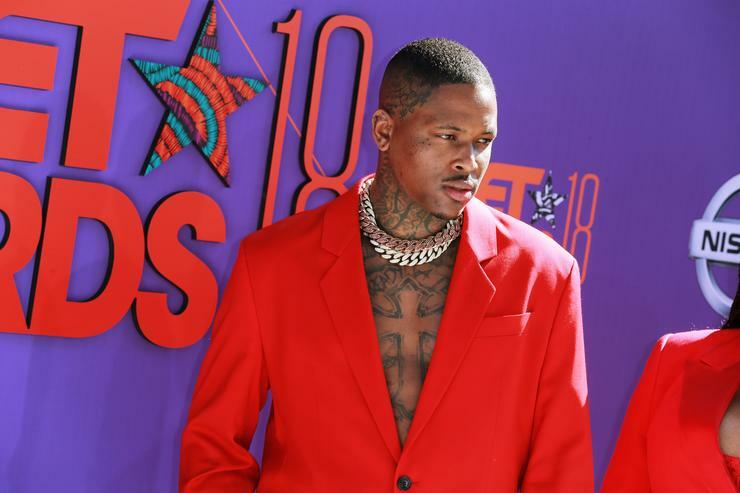 The relationship between YG and Catelyn Sparks hasn't always been easy, but the couple are reportedly expecting their second child together. The rapper and his longtime on-again-off-again girlfriend already have a daughter, a three-year-old named Harmony. TMZ reports that they're expecting another girl that due sometime in July. Sparks has been able to lean on her friend Chanel, DJ Mustard's girlfriend, during this time because Chanel, too is pregnant. It's said that the ladies have attended maternity classes together, and considering both of their toddlers are the same age, the expectant mothers are able to help one another. YG has been vocal about his daughter has influenced his life, even including lyrics about her in his music. "I dedicated my life to this music s**t back even before my daughter came into play," YG told Vulture. "It’s really for the best for all my people. So when I’m gone, it be like, s**t, I’m doing what I’m supposed to be doing, because if I wasn’t doing this, I’d be at the house trying to figure out what the f**k to do so my people be straight. So it’s like, I be having that thought, but then I be having that in my head too. Like, I’m doing the right s**t, but I’m gone, though...I’m around her, but I be gone a lot. But she lives with me. So I make sure I go the extra mile. I do the extra s**t, a lot of times, just to make sure my daughter...she knows who daddy is, she knows what’s up." Congrats to them on their newest addition!